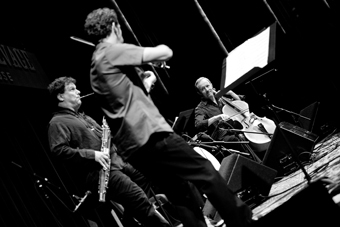 The ensemble features four outstanding current and former Bay Area musicians, Paul Hanson on bassoon, Moses Sedler on cello, and co-founder violinist Daniel Hoffman coming in from Israel. 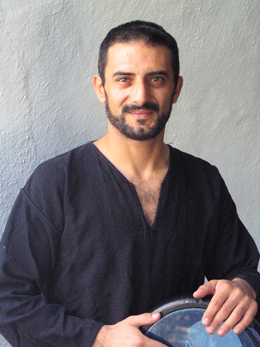 Davka will be joined by master Arabic percussionist Faisal Zedan. In the words of the San Francisco Chronicle, “Davka’s four musicians whirl their spells with a supple interplay of violin, cello, bassoon, and percussion. Their compositions and improvisations, swirling around a center of enlivened klezmer melodies and pulsing Middle Eastern rhythms, weave a dancing, winding path through the diversity of Jewish cultural and historic experience.” The music may not be “what you expect,” but it’s passionate, lyrical, and full of life. Enjoy an evening of musical surprises with Davka at the Freight.